On December 25, China received the first shipment of Russian-made Su-35 fighter jets, as part of a deal between Moscow and Beijing on delivering a total of 24 aircraft. Russia and China signed a contract on the delivery of 24 Russian Sukhoi Su-35 aircraft, estimated to be worth $2 billion, in 2015. The S-35 is a 4++ generation, twin-engine, highly maneuverable multirole fighter jet. It has a maximum speed of 1,553 mph (2,500 kmh) with advanced dry thrust and afterburner capabilities that enhance the aircraft’s dogfighting maneuverability and semi-stealth design that makes it possibly the most lethal fighter jet in the sky. The fighter jet is an upgraded version of the Su-27 multirole fighter. It was first introduced to a foreign audience at the 2013 Paris Air Show. The Su-35 is Russia’s top air-superiority fighter, until the fifth-generation PAK-FA stealth fighter comes into production. 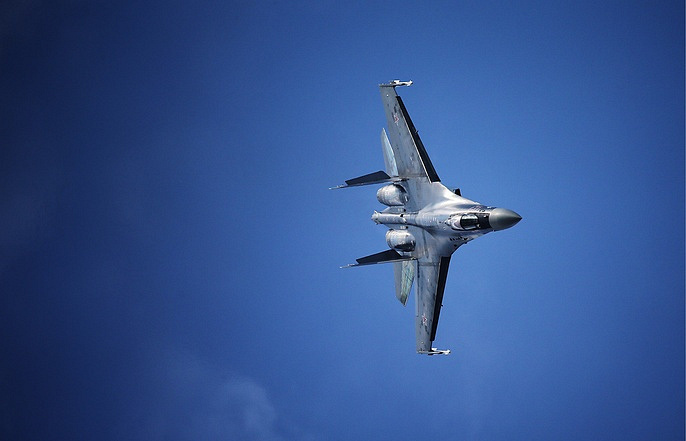 According to the Chinese newspaper The People’s Daily, the reason for such smooth procurement of the Su-35 for the Chinese military is the recent debut of the domestic-designed J-20 fifth-generation fighter. Of course, the deal on delivering Su-35 jets to China was a result of close military and technical cooperation between Moscow and Beijing. China unveiled two Chengdu J-20 stealth fighters at the Airshow China-2016 in Zhuhai in early-November. 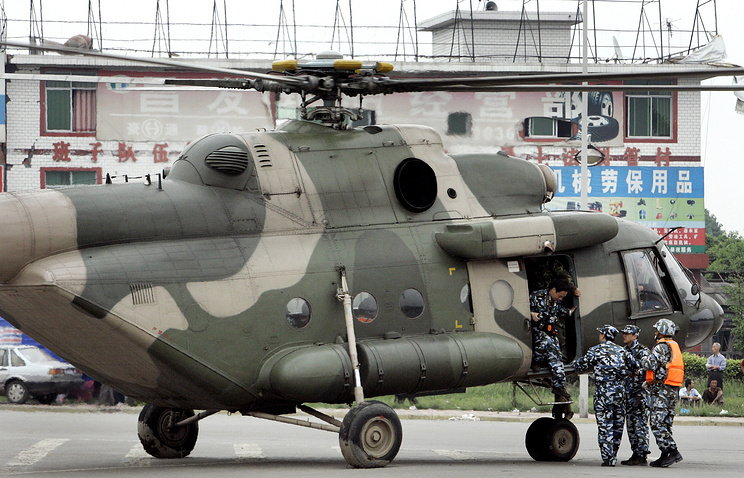 The aircraft was developed by Chengdu Aircraft Industry Corporation. The J-20 conducted its first test flight in early 2011. According to Air Force Commander General Ma Xiaotian, China will not put the J-20 on the global market. While the detailed specifications of the new jet have been kept secret, to all appearances the jets have been designed to match the stealth capabilities of fifth-generation fighter aircraft such as the Lockheed Martin F-22 Raptor and Russia’s Sukhoi PAK FA. However, military experts noted that another possible reason behind China’s interest for the Su-35 is its engine, the AL-117S turbofan. China has put much effort in developing its own turbofan akin to the Su-35’s, known as the WS-10 turbofan, but it continues to underperform the Russian-made AL-117S. If Chinese engineers manage to reverse engineer the Russian technology they may be able to narrow the technological gap with Russia and the West. MOSCOW, December 14. /TASS/. Russia will provide to China the first batch of four Sukhoi-35 jets by December 25, 2016, a source within the system of military-technical cooperation with other countries told TASS. “The first four Sukhoi-35 are to fly over to China by December 25,” the source said. Originally the deliveries were to begin as of next year, but eventually a decision was made to speed up the process and to provide the first batch in the last days of the outgoing year. In November, the deputy chief of the federal service for military-technical cooperation, Vladimir Drozhzhov, told TASS that Russia had started acting on the first phase of its contractual liabilities to China to provide the Sukhoi-35 jets. Russia and China in November 2015 concluded a contract for 24 Sukhoi-35 fighters. Under the $2 billion deal Russia is also to provide ground equipment and spare engines. As a source within the military-technical cooperation system told TASS earlier, the contract will be effected in three years’ time. The governor of the Khabarovsk Territory, where the Komsomolsk-on-Amur aircraft building plant (manufacturer of Sukhoi-35 planes) is located, earlier said the first four planes will be provided to China by the end of this year. A short while later, though, the head of Rostec corporation, Sergey Chemezov, said that no Sukhoi-35 planes will be delivered to China in 2016. The Sukhoi-35 is Russia’s multirole highly maneuverable fighter (generation 4++) with a phased array antenna radar and thrust vectoring engines. It can develop a maximum speed of 2,500 kilometers per hour and fly 3,400 kilometers without refueling. The combat range is 1,600 kilometers. The fighter is armed with a 30-mm gun and has twelve bomb and rocket suspension units. Russia will stick to the schedule on supplying Su-35 fighter jets to China under a military-technical deal between the two countries, Khabarovsk Territory’s Governor Vyacheslav Shport told Sputnik on Wednesday. In September, the governor said that the Komsomolsk-on-Amur Aircraft Production Association (KnAAPO), part of the Sukhoi Aviation Holding Company and one of Russia’s largest aircraft manufacturers, plans to supply four Su-35 to China by the end of the year. “I can say that today, all issues of supplying aircraft equipment as part of military-technical cooperation are proceeding strictly on schedule at the aviation enterprise located on the Khabarovsk Territory, and will be complete before the deadline specified in the contract. It’s under my supervision,” Shport said. Earlier in November, the head of the Russian Federal Service for Military-Technical Cooperation (FSMTC) said that deliveries had not yet started but that the deal’s implementation was underway. Russia and China signed a contract on the delivery of 24 Russian Sukhoi Su-35 fighter jets, estimated to be worth $2 billion, in 2015. The Su-35 (NATO reporting name Flanker-E) is a 4++ generation aircraft employing technologies of the fifth generation, designed by the Sukhoi Aviation Holding Company. The fighter jet is an upgraded version of the Su-27 multirole fighter. It was first introduced to a foreign audience at the 2013 Paris Air Show. Minister of Defence of the Russian Federation General of the Army Sergei Shoigu invited Vice Chairman of the Central Military Commission of China Senior General Xu Qiliang to discuss situation in Syria, Iraq and Libya in details. He expressed his hope that topical issues of regional and international security would be discussed as well. “I hope that today we will sum up the results of the previous year and define tasks for the next one. Unfortunately, the world has not become safer. New challenges and risks have appeared”, said General of the Army Sergei Shoigu. According to him, this session is to allow to make new steps in the field of bilateral military and technical cooperation. The head of the Russian military department noted that “relations of friendship and partnership” between the leaders of Russia and China “show that we have good and big prospects ahead”. According to General of the Army Sergei Shoigu, results of sessions held between leaders of Russia and China in Beijing and Peru suggest that two countries are to work hard in the field of development of military and technical cooperation as well as ensuring security. The Russian Defence Minister also expressed his hope that trip of Xu Qiliang around cities and enterprises of Russia was useful and it would promote military and technical cooperation of two countries as well as exchange of advanced armament technologies. General of the Army Sergei Shoigu noted that number and volumes of Russia-China agreements on military and technical cooperation allows to move forward. It refers to the number of contracts and the volumes of acquired and supplied military hardware. Russia is yet to deliver the first batch of Su-35 multirole jets to China in accordance with the deal. LISBON. 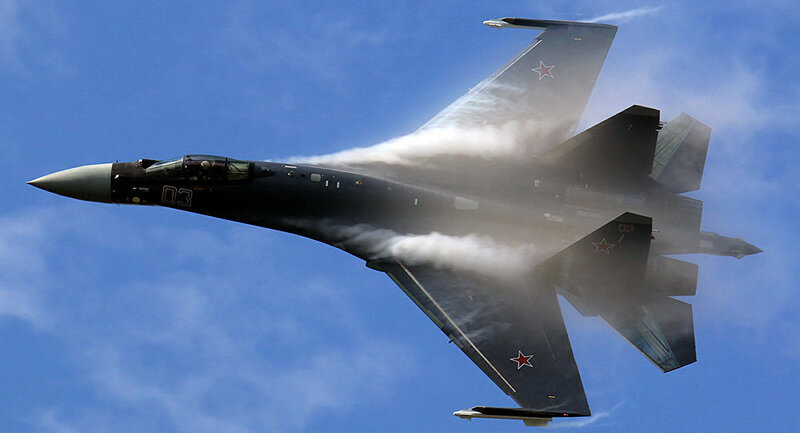 The deliveries of the Russian Su-35 fighter jets to China have not started yet, works on the aircraft to be supplied continue in accordance with the bilateral deal, Alexander Fomin, the director of the Russian Federal Service for Military-Technical Cooperation (FSMTC), said. “Not yet, but the works continue in accordance with the contract,” Fomin told reporters answering a corresponding question. The Su-35 is a 4++ generation aircraft employing technologies of the fifth generation, designed by the Sukhoi Aviation Holding Company, which belongs to the United Aircraft Corporation. 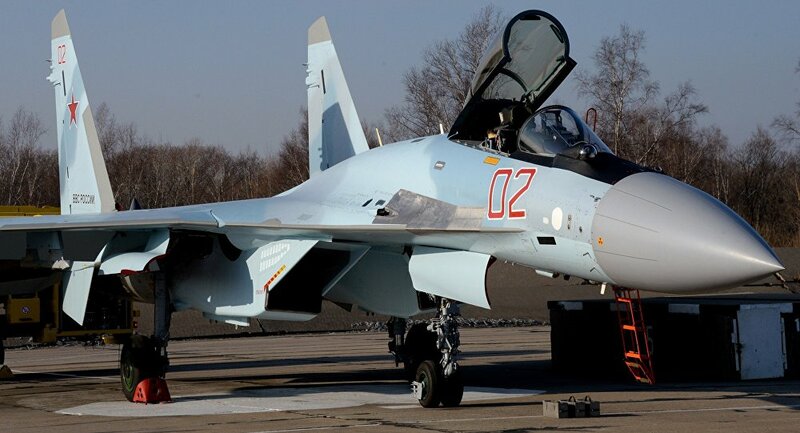 The fighter jet (NATO reporting name Flanker-E) is an upgraded version of the Su-27 multirole fighter. It was first introduced to a foreign audience at the 2013 Paris Air Show. Russia and China signed a contract on the delivery of 24 Russian Sukhoi Su-35 fighter jets, estimated to be worth $2 billion, in 2015. Russia may fulfill a contract on deliveries of long-range S-400 Triumf air defense systems to China by 2020, Alexander Fomin, director of the Federal Service for Military-Technical Cooperation, said Monday. STRELNA (Russia), Moscow and Beijing reportedly signed the contract on the delivery of up to six S-400 systems (NATO reporting name SA-21 Growler) to China in April last year. The details of the deal have not been disclosed. The S-400 is Russia’s next-generation air defense system, carrying three different types of missiles capable of destroying aerial targets at short-to-extremely long range. It is capable of tracking and destroying all existing aerial targets, including ballistics and cruise missiles.